He has been called ‘the greatest gymnast of all-time.’ It’s a big claim, but Kohei Uchimura, at just 23, consistently justifies his praise with multiple wins and world titles. 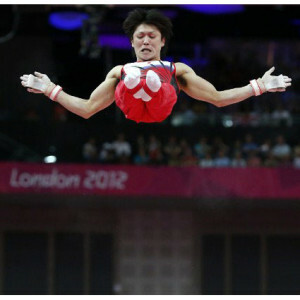 He goes in to this summer’s Olympics as the red hot favourite in the AA (all-around) event. Uchimura has been so dominant over the past few years that many of his rivals have given up hope of beating him. For the man himself though, individual success will mean nothing if his team fails to deliver in London. In the individual category, Uchimura hasn’t lost an event since since the 2008 Games; it’s quite a streak. With his team however, he has yet to taste a major victory. They have finished runners-up behind China in the last three World Championships and in 2011 Uchimura’s dramatic fall on the high bar competition cost them the gold medal. He was human, after all. He is desperate to make amends for that slip at the London Games by helping his country regain the gold that they won in Athens in 2004. 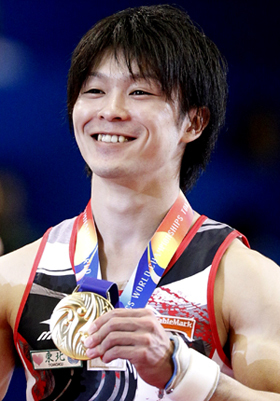 Uchimura “appreciates the compliments,” from his rivals, but he refutes the claim that he is “unbeatable,” particularly in a sport where even the shortest lapse in concentration can prove so costly. Four years ago in Beijing he scored the highest marks on the floor and produced a stunning performance on the high bar routine, yet two falls on the pommel horse meant he had to settle for second place, behind Yang Wei of China, who has now retired. His routines in AA competitions have been almost flawless since but he knows there is no room for complacency. Staying mentally strong is the key to his success. Uchimura watched on TV as Tsukahara led Japan to team victory at the 2004 Athens Games and dreamed of one day following in his footsteps. He couldn’t quite manage it in Beijing, but feels London could be the time for him and his teammates to shine. Despite the fact that he will be expected to provide a near perfect performance, he doesn’t seem to be feeling the pressure. His spirits are high as he gears up for what could be the defining competition of his career. He is clearly determined to enjoy himself while he’s in London but, when it comes to the serious business, few athletes will be as well prepared as the gymnast known as ‘Superman’. He has worked all his life to be the best at his sport and should be too strong for the rest in the AA. To achieve his ultimate dream of a team gold, though, he will also need Kato, Yamamura and the Tanaka brothers to be at the top of their game.